Reducing the amount of tobacco users in your workplace significantly decreases the cost of healthcare for your entire organization. Employees themselves save money when they quit using tobacco. 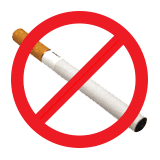 Our on-site and online tobacco cessation programs give your employees the resources and support they need to finally quit using. Join a workshop at our office in the South Hills of Pittsburgh or host your own on-site tobacco cessation program. A certified trainer will guide the group through the quitting process. Can’t make it to our on-site meetings in Pittsburgh? Consider joining an online group and get the support you need to quit using tobacco products.